In this Satellite meeting we aim to bring together an international cohort of academics from highly diverse backgrounds so that anthropologists, historians, geneticists, immunologists, molecular microbiologists and experts on the evolution of language can together bring their knowledge to bear on plotting the timeline of human history and the forces that have shaped it. We will consider the co-evolution of man, our immune system and our major pathogens, taking into account recent evidence from DNA sequencing initiatives alongside the evidence from historical artifacts. Programme available to download here. Danny Altmann is Professor of Immunology in the Department of Medicine, Imperial College London and, as of 2011, Head of Pathogens, Immunity and Population Health at the Wellcome Trust. He is also Editor in Chief of Immunology. As Head of the Human Disease Immunogenetics Group, his major research interest has been in the immunogenetics of autoimmune diseases and bacterial infections. This has in recent years included a major emphasis on T cell immunity to serious bacterial infections. Prior to joining Imperial College he was a senior scientist in the Medical Research Council Clinical Sciences Centre. Dr Rosemary Boyton heads the Lung Immunology Group, Department of Medicine that is focused on the molecular immunology of lung disease. Research interests include innate and adaptive immune mechanisms in the regulation of infectious and allergic lung inflammation. She is a Consultant Physician in Respiratory Medicine at Royal Brompton Hospital with a specialist interest in Respiratory Infection. 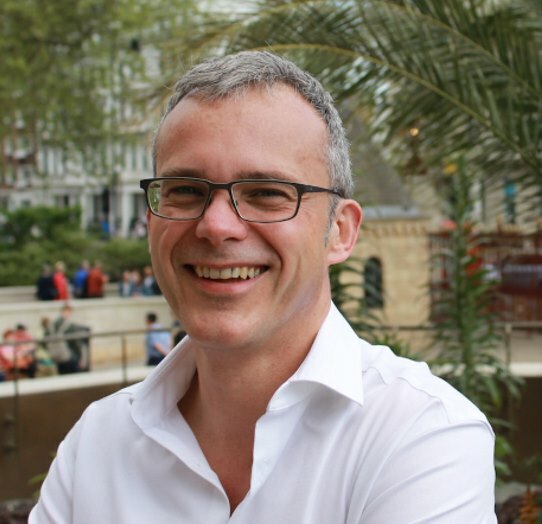 Eske Willerslev is a Lundbeck Foundation Professor at University of Copenhagen and is The Prince Philip Professorship of Ecology and Evolutionary Biology elect at University of Cambridge. He is director of the Centre of Excellence at Centre for GeoGenetics and the Danish National CryoBank and Sequencing Facility. Willerslev is an evolutionary geneticist recognized for his studies on human dispersal, microbial long-term survival and evolution, megafaunal extinctions, DNA degradation, and environmental DNA. He is particularly known for sequencing the first ancient human genome, conducting the first large-scale multi-species ancient population genetic study, and establishing the field of environmental DNA, where modern and ancient DNA from organisms such as higher plants and animals are obtained directly from environmental samples such as sediments, ice and water. Willerslev has been visiting researcher at the MD Anderson Cancer Research Centre in Austin, Texas, and independent Welcome Trust Fellow at Oxford. He is Honorary Doctor at University of Oslo and has been Visiting Professor at Oxford University and Visiting Miller Professor at UC Berkeley. Martin B. Richards is Professor of Archaeogenetics at the University of Huddersfield, UK. He studied genetics at the Universities of Sheffield and Manchester, moving to the University of Oxford and into archaeogenetic research in 1990. He subsequently moved to UCL, the University of Huddersfield, the University of Leeds, and finally back to Huddersfield in 2012, to take up a Research Chair in Archaeogenetics. His research, with colleagues from across the world (especially Portugal, Italy, Spain, Germany and the UK), has particularly sought to apply whole-mtDNA genome variation to archaeogenetic questions, such as the route taken by modern humans dispersing out of Africa and the settlement of Southeast Asia and the Pacific – most recently returning to the controversy over the settlement of Europe, with a broadening focus to take in genome-wide variation and palaeogenetics. He co-edited Mitochondrial DNA and the Evolution of Homo Sapiens (Springer-Verlag, 2006) with Hans-Jürgen Bandelt and Vincent Macaulay, and he currently runs a Leverhulme Doctoral Scholarship programme in evolutionary genomics, entitled Genetic Journeys into History: The Next Generation, in the School of Applied Sciences at Huddersfield. Dr Chris Tyler-Smith is head of the Human Evolution team at The Wellcome Trust Sanger Institute. His background is in human molecular and evolutionary genetics, and from 1987 to 2003, his research concentrated on understanding the structure and function of human centromeres, responsible for proper segregation of chromosomes when the cell divides. This work used the Y chromosome centromere as its model, and during this period he developed an interest in the use of variation on the Y chromosome to provide insights into aspects of human history and evolution. In 2003, he moved to The Sanger Institute, and concentrated on human evolution. While his interest in the use of neutral markers such as the Y chromosome and mitochondrial DNA continues, particularly as part of the Genographic Project, the main thrust of his work is now directed towards investigating the way natural selection has shaped modern humans. In order to do this, they document the extent of genetic variation, including structural variation, in human populations. This is done as part of the Genome Structural Variation consortium and the 1000 Genomes Project. They are then particularly interested in identifying regions of the genome that have experienced recent positive selection in humans. "Qualified in medicine, Oxford 1971. 1972-97: a total of 17 years, located in the tropics as a paediatrician, with intervening time spent in English universities (London, Oxford, and Liverpool) as bases for overseas secondment. Published extensively, focussing on the interactions between iron, nutrition, genetics (particularly α+-thalassaemia) and infections esp. malaria. Professor of Paediatrics in Malaysia then HK from 1987-94. 1997-present: Returned to Oxford for children’s education. Published first book: ‘Eden in the East: the drowned continent of Southeast Asia’ in 1998, a multidisciplinary reconstruction of prehistoric migrations in Southeast Asia and the Pacific using climatology, oceanography, archaeology, genetics, linguistics and cultural anthropology; followed by two similar, more genetically focussed books ""Out of Eden: the Peopling of the World"" 2003 and “The Origins of the British: a genetic detective story”, 2006. Has continued collaborative research with numerous peer-reviewed publications supporting the original reconstructions in his three books. Adviser and talking head in a number of related TV documentaries." Andrea Manica is a Senior Lecturer in Zoology at the University of Cambridge. His group uses spatial models to look a variety of ecological and evolutionary questions. His work in population genetics has mostly focussed on reconstructing the out-of-Africa migration by anatomically modern humans that led to their spread across the globe. Dr Carrington obtained her PhD in Immunobiology at Iowa State University in 1982. She performed her postdoctoral studies in the departments of Immunology and Microbiology at Duke University and the University of North Carolina, respectively. Subsequently she joined the Immunology Department at Duke University as a faculty member from 1985-1989. Dr Carrington began her career at the NCI-Frederick in 1989 as a Principal Scientist in the HLA Immunogenetics Laboratory and later became Head of the laboratory. Her laboratory has been involved in characterizing the influence of host genetics on cancer, autoimmunity and, in particular, infectious disease pathogenesis. She is a member of the International Council on Immunogenetics and Histocompatibility, the steering committee of the Ragon Institute of MGH, MIT and Harvard, the CCR/DCEG Human Genomics & Genetics Leadership group, the Center of Excellence in Integrative Cancer Biology and Genomics steering committee, the Center of Excellence in HIV/AIDS, and the Global HIV Vaccine Enterprise. Dr Carrington became Director of the Basic Sciences Program in 2002. As Director, she is responsible for the guidance and oversight of a large and diverse group of scientists in investigator-initiated hypothesis-driven basic research. Paul Norman’s long-term research goal is to understand how genetic factors lead to individual differences in immune responses, with application towards improving human health. His initial training was in the clinical transplantation laboratory of Guy’s Hospital London where he studied the genetics of HLA, arguably the most highly variable molecules in humans. Whilst at Guy’s he also investigated genes that govern individual variation in the number of circulating immune cells, in collaboration with the Human Genetics Department at the University of Utah. During his PhD at King’s College London and subsequent research career at Stanford University in the laboratory of Prof Peter Parham he has continued to explore the genetics of immune cell receptors. He has been specializing on the ‘KIR’ natural killer cell receptors, their impact on immune function through interaction with HLA and, importantly, their extraordinary genetic diversity. KIR genes vary in number between individuals and populations and are also highly polymorphic. By studying how natural selection has defined HLA and KIR variants and their distribution in modern human populations we have begun to understand how they interact with each other and ultimately modulate immune function. Antonio Arnaiz Villena is presently Head of Immunology and Microbiology I Department at University Complutense and Hospital 12 de Octubre in Madrid, Spain. He was born and studied Biology and Medicine in Madrid. He accomplished post-doctoral research during 9 years in the UK at the Middlesex Hospital Medical School (Prof Roitt) and at the London Hospital Medical College (Prof Festenstein). He came back to Spain and set up Immunology and Genetics laboratories in the Spanish National Health Service in Madrid (Hospital Ramon y Cajal, The Madrid Regional Blood Center and Hospital 12 de Octubre). He was also appointed in Madrid Full Professor of Immunology by an International Board, including Pablo Rubinstein and Antonio Coutinho. He has established Immunology teaching at Biochemistry, Medicine, Biology, Pharmacology, Veterinary Faculties at University Complutense, Madrid. He has served 5 years as elected President of the Spanish Society for Immunology and 14 years in the Government Spanish Board for Specialists. He has published 341 papers in international magazines, published 8 books and directed 48 PhD Doctoral Theses in Immunology,Human and Bird Population Genetics and Linguistics. David M Lewinsohn is Professor of Medicine and Adjunct Professor of Molecular Microbiology & Immunology at Oregon Health and Sciences University, and the Portland VA Medical Center. Dr Lewinsohn received his undergraduate degree from Haverford College, his MD and PhD from Stanford University School of Medicine, internal medicine training at the University of California, San Francisco, and fellowship training in Pulmonary and Critical Care Medicine at the University of Washington. Dr Lewinsohn’s research interest is in Tuberculosis Immunology. He is particularly interested in the mechanisms by which the human immune system can recognize those cells harboring Mtb. Dr Lewinsohn’s research program has focused on the role of both classically and non-classically restricted CD8+ T cells such as those restricted by HLA-E and more recently MR1. More recently, the laboratory has begun to explore the ability of lung epithelial cells to become infected with Mtb, and the mechanisms by which recognition of these cells may lead to the control of intracellular infection. Dr Lewinsohn’s research has been supported by the ALA, the NIH, and the VA. His is also the recipient of an NIH Bioterrorism contract to comprehensively define human CD8 antigens and epitopes in Mycobacterium tuberculosis. Are occasional human pathogens useful to their host? 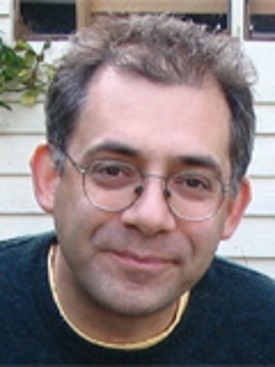 Professor Robin Weiss FRS is a Senior Research Fellow at University College London. He has made pioneering contributions to HIV and AIDS research, most notably the identification of CD4 as the HIV receptor on cells, and the neutralization of HIV by antibodies. He has worked on AIDS-associated cancers such as Kaposi’s sarcoma and is currently investigating HIV vaccine development supported by the Bill & Melinda Gates Foundation. Early in his career, Professor Weiss found that retroviral genomes can be inherited as Mendelian traits in host DNA, marking the discovery of endogenous retroviruses, and he later investigated whether endogenous retroviruses of pigs could potentially be transferred to humans during xenotransplantation. From 1980 to 1990, he was Director of the Institute of Cancer Research, London. His current interests include the origins of pandemic infections. He is a past President of the Society for General Microbiology. Sunetra Gupta is Professor of Theoretical Epidemiology in the Department of Zoology at the University of Oxford. She graduated in 1987 from Princeton University with a degree in Biology, and received her PhD from Imperial College, London in 1992. Her research focuses on the dynamics of parasite population diversity and the evolution of host genetic diversity in infectious disease systems.